Noah kept going over to the bunny cage and looking in -- even sleeping in front of the door to the cage. 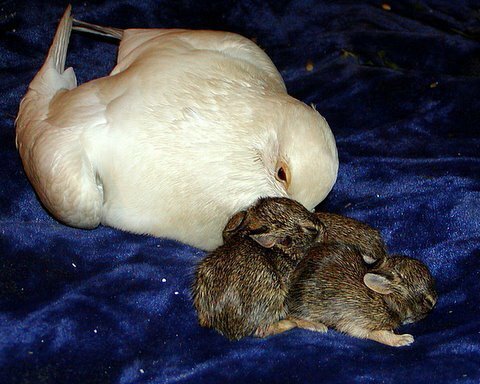 But when Noah moved a bit from the front of the cage to everyone's surprise... there was the tiny bunny... under Noah's wing... sound asleep! 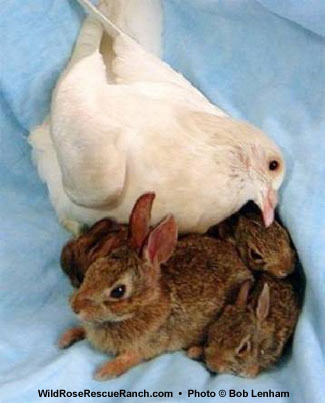 That little bunny rabbit had crawled through the cage, preferring a feather bed, no doubt to snuggling up with its litter mates! 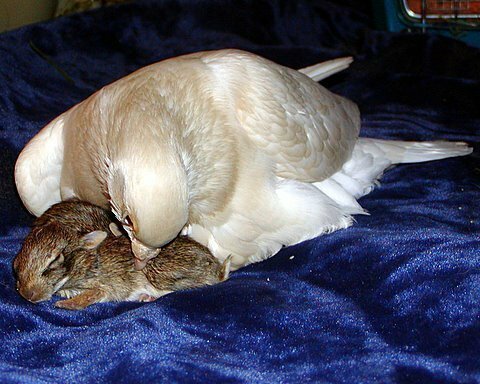 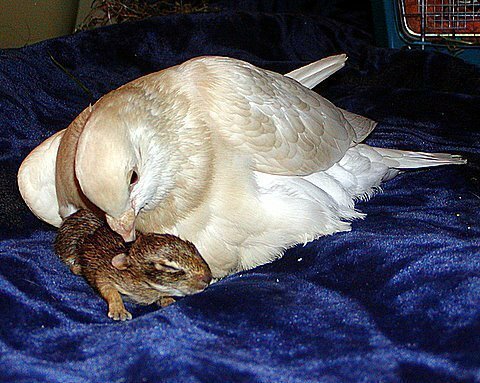 How wonderful it is to have a full-time soft-feathered nurturer here at the rescue ranch! 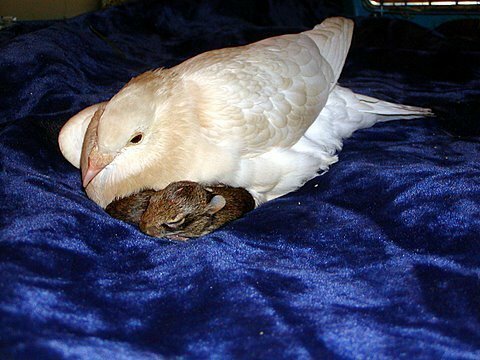 He cuddles with all the babies as they snuggle under his warm feathers...and he "coos" as if singing them to sleep with a lullaby .